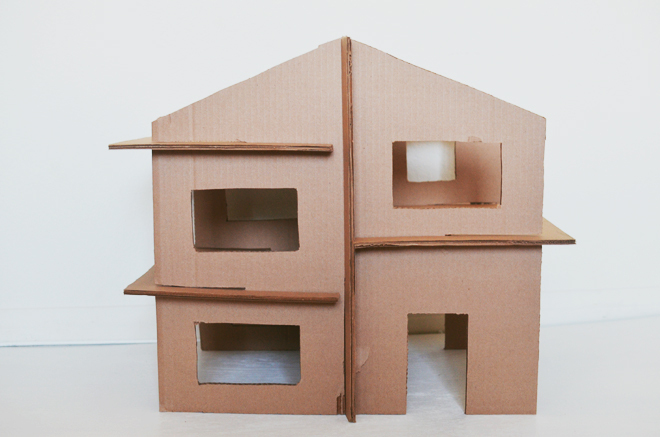 Download the Cardboard Dollhouse Template and you will need to take it to a copy center to get it printed. The largest piece measures about 20″ x 20″, but if you want a smaller house to accommodate a smaller box size, I would just have the template size decreased by 25% or 50%, or whatever your need may be. 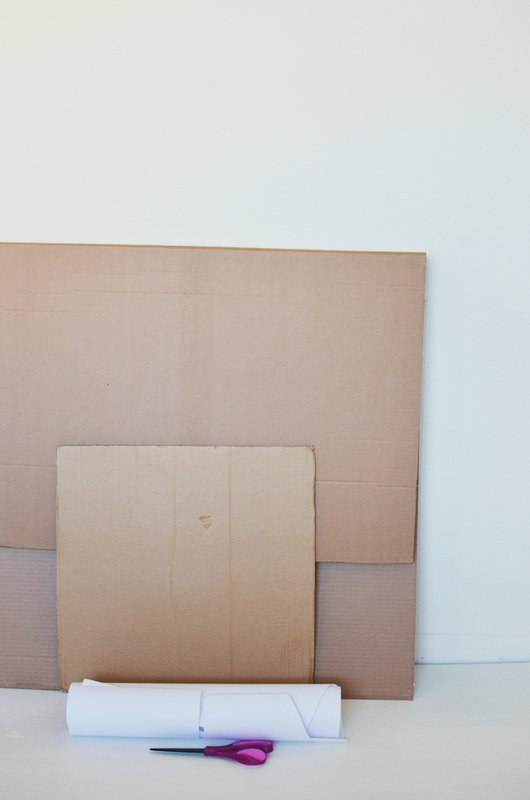 The template can be used later to make wall paper and floor for the house by gluing it onto the cardboard. 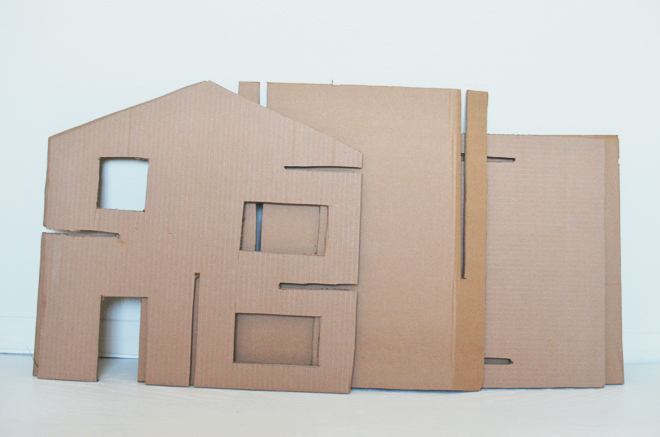 Break down your cardboard box into flat pieces and trace the templates onto your cardboard. 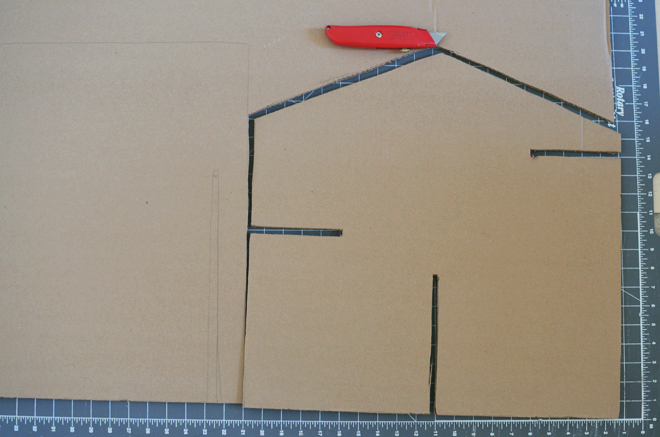 With a box cutter, cut out each house piece: 1-center, 2-exterior, 3-house floors. If you want to create small stairs for the interior, cut out a 3 1/2″ x 5″ piece and cut two slits on one side (about 1 1/2″ apart) , and three on the other side (between the slits on the opposite side), then accordion fold them. You can easily create some stairs by accordion folding some scrap pieces of cardstock too! 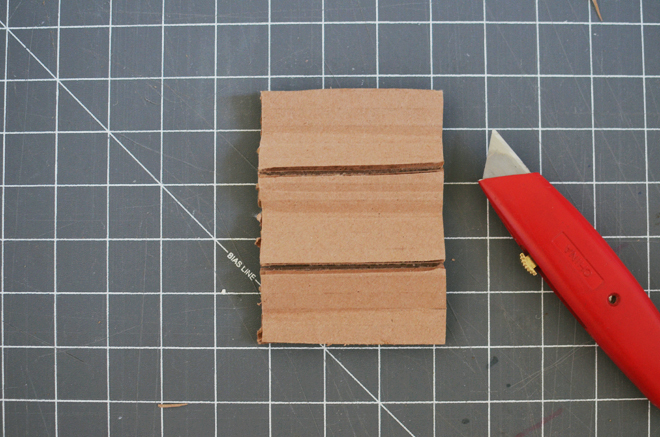 Note: When you cut out the connecting slits for the house pieces, you will want to be sure that the slit you create accounts for the thickness of the cardboard you use. Depending the type of box you use, your slits might need to be slightly thicker or thinner. Slot together the center piece with the exterior pieces. Be sure the doors and windows of the exterior pieces parallel one another. Slot each floor onto the house. Tada! 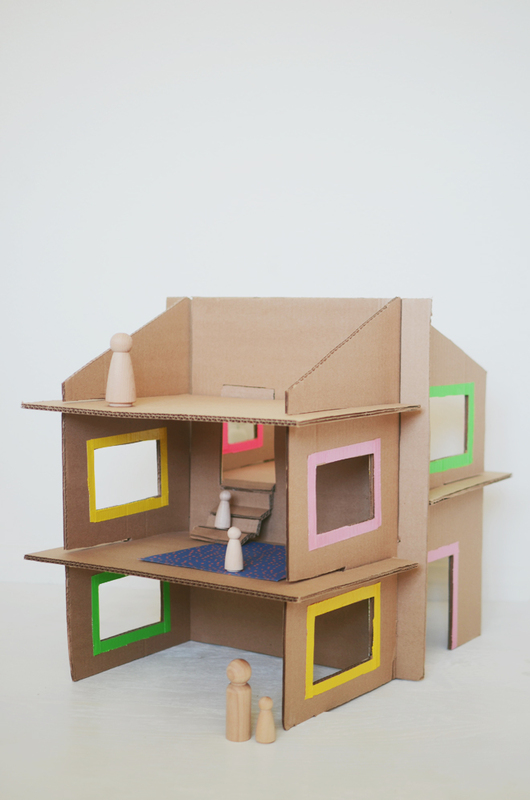 It’s such an easy dollhouse to create and put together. 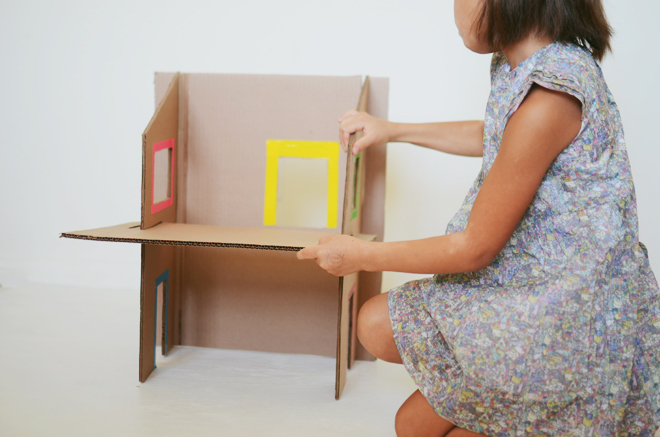 It’s inspired by the Ray-ray dollhouse from Momoll, even still, your children will be oh-ing and ah-ing about how clever you are using a box, at least mine did. 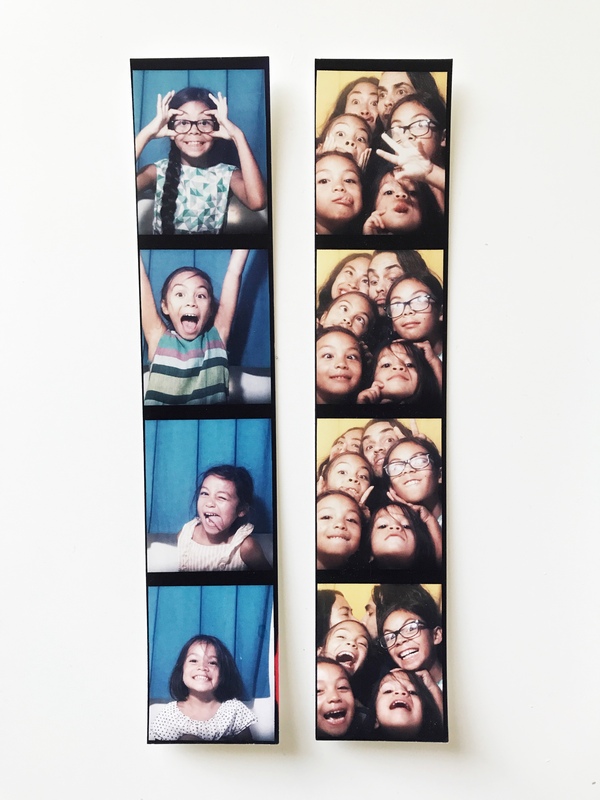 Not only is this a eco-friendly way of creating something your children will love, but it will allow them to stretch the creative muscles decorating the house however they wish. We decided to outline all the openings with duct tape (always use a pair of non-stick scissors when dealing with duct tape). They started scavenging around the house to find things to use to make rugs and other furniture pieces for their dollhouse. When I was asked the kids what was on their Christmas list, they told me they wanted a dollhouse for their My Little Ponies. I told them we don’t need to buy that, but we could make that using things we already have. My kids love boxes, what kid doesn’t?! Sometimes a box gets played with longer than their toys. Thus, I thought it would be great to create a dollhouse out of some boxes we already had. 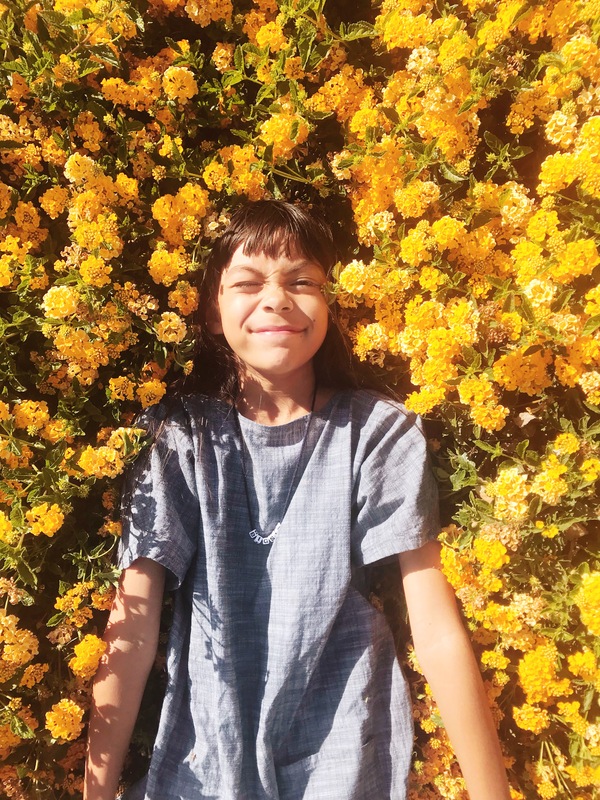 We are big at recycling and reusing in our house, we have a big basket next to the trash can for recycling (and we recycle all we can), so I love saving boxes and pieces of things that I think can be used for something else. 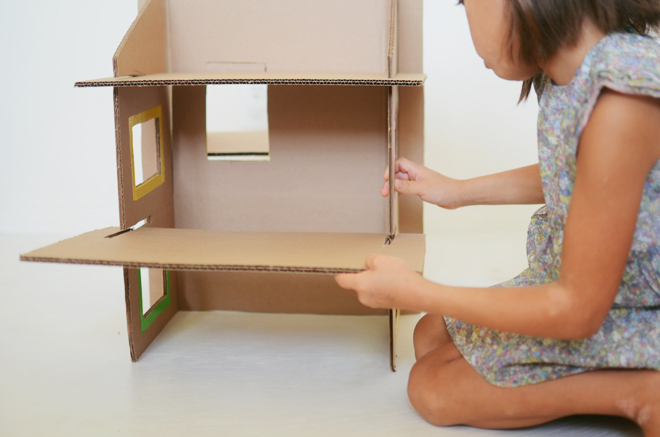 We had this large box from a light fixture we ordered (and I had been saving it for awhile), and it ended up being perfect for this eco-friendly dollhouse. My children have been working on making things for inside their house, and once they are all done with that, I will share it with you! 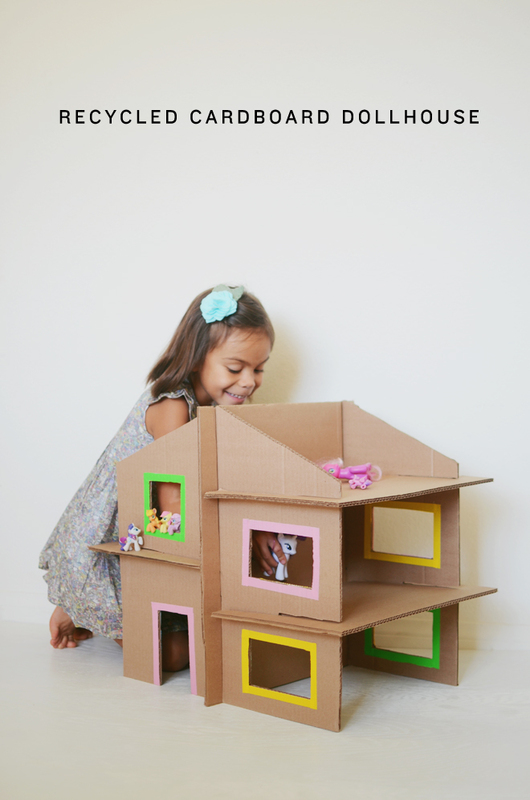 Lots of waste is created everyday, and little things like reusing a cardboard box into a dollhouse helps promote sustainability. We’ve also been knee deep in other projects, but we have plans to make our compost bin (finally!) soon. This will really help us reduce the amount of waste in our house. 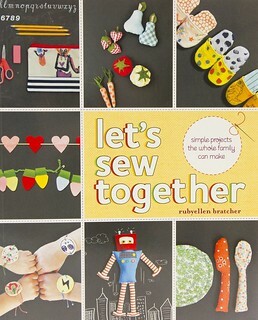 The girls and I have done projects from this book, which we have shared about here and here, and it has helped make use more aware. With that, I’m happy to partner with Target’s EcoSet Initiative. 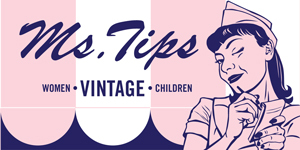 All props, furniture, and clothing from their sets are donated to local partners so they can be given to those in need. Constructed elements of a set, like walls, flooring, or other art props are donated to local artists, filmmakers, and theaters. Even packaging materials, and things like rope, or lights are donated to those who can reuse it. My girls take toilet paper rolls and make them binoculars, or telescopes, and when they are done with those, we make sure to recycle them. It’s about thinking about things as a cycle and trying to give things the longest life possible. Thus, I’m happy when my children can use their imagination and turn boxes and things toilet paper rolls into toys. This post is brought to you by Target. With helping hands, Target is committed to building healthy and sustainable communities. 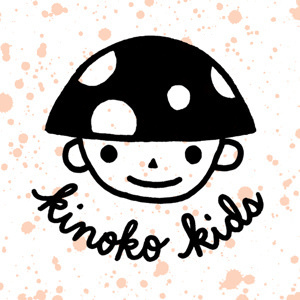 Thank you for the support you give this space and brands I collaborate with. Almost 45 years ago my mother makes a doll house margarine boxes. And I loved it! I love yours as well!!! Oh that sounds like a fun idea!!! Thank you for sharing! Adorable! 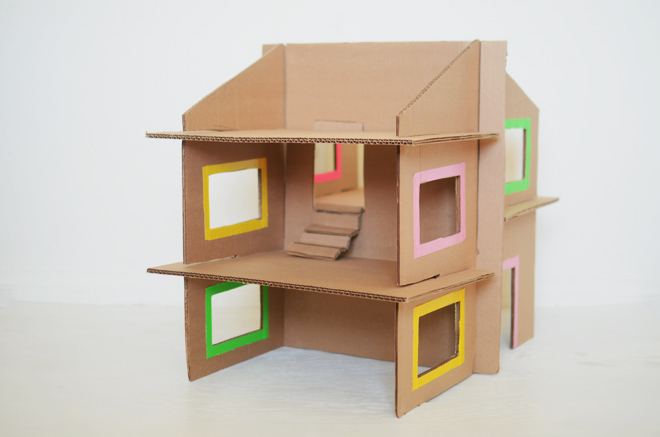 I love that you are recycling materials to make the dollhouse; I always wanted to do that, but I’ve never really known what to make the initial structure out of. I have a ton of fabric I want to use for “wallpaper” and rugs and etc, though. I might have to try this if I ever have a girl! If you make it, I would love to see the result! Oh WOW! It’s so pretty and seems easy! I love it! Thanks for sharing it! Thank you! I want to make another style now. It was so fun to think up and make! Yes, I had it mentioned in it, but somewhere in my editing I must have deleted to move the mention somewhere else, but never put it back in. Thank you for pointing that out, and I have inserted it back in. We love Momoll and have some of their items, and that mention should have been there initially, so thank you for the reminder. Great way to put a box to use! It is great! I love the idea! When I was little I wanted my parents to buy me a house for my dolls! I wish that they would have thought of this back then! It is really nice! when I try to print the template it won’t print all of it. Only prints one corner of it and says that’s the only page. 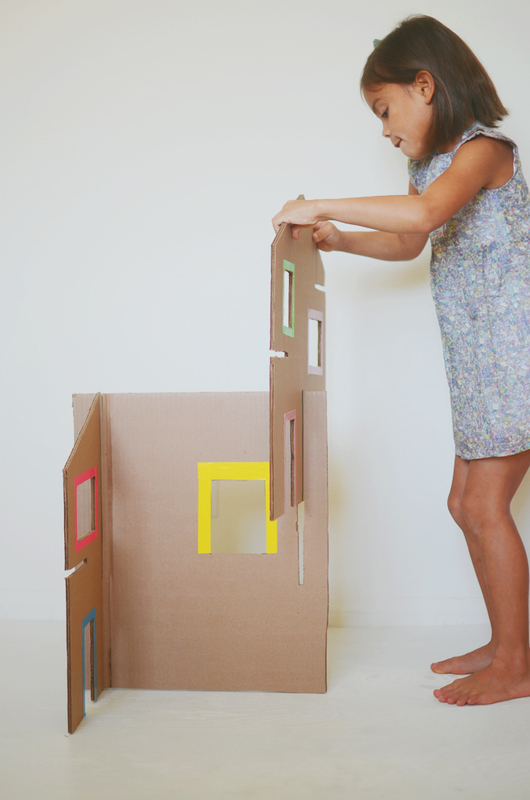 I love this idea and have the perfect box for making it for my daughters. I think you need to download it and take it to a printer to get printed. It’s a large template, so you’ll need an oversized printer. I can not thank you enough for this post!! I made two of these for my daughters for Christmas. 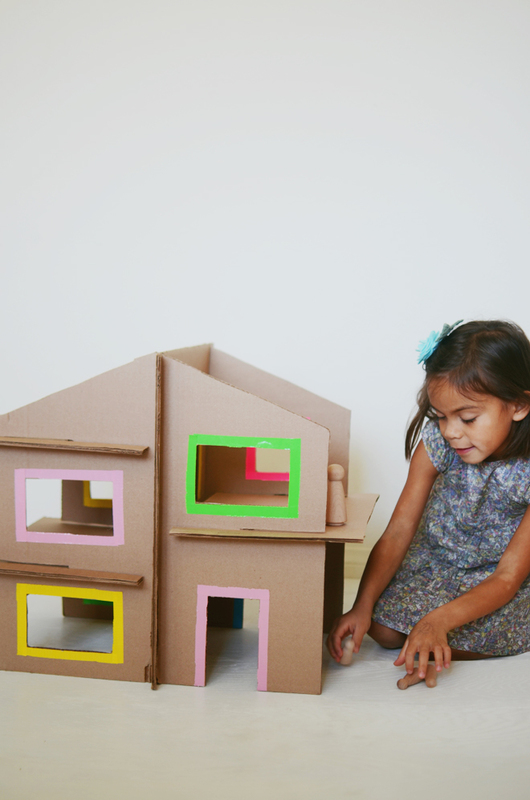 After looking for dollhouses to purchase, this option was a better fit for our family. I didn’t print out the template, I took the largest measurement you gave and did some math to figure out the rest. YAY!!! I’m sure the girls loved it!!! That makes it so special!!! That’s why I love making handmade gifts for my girls so much! Could you please share this math? Could you share the dimensions of each piece please? If you download the template and get it printed at a print shop, you could measure it from there. Yours is very cool but ours did not work at all:( The floors didn’t fit right into the slots 🙁 very disappointed. When I download the template it seems to just be an 8.5×11 page? Will it print differently? You have to download and save it, then take it somewhere that can do oversized/engineer prints. I’ve already started to cut wood waiting in the cellar for a long time to make this dollhouse for my future classroom!! thank you!! It’ll be wider..
What a great idea! I’m going to make one from plywood. I am planning on using some 12cm poseable wooden dolls, do you think these would fit? Such a great idea! Thank you for sharing!So creative!